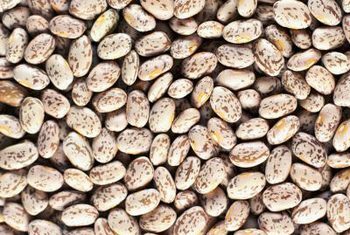 Pint Beans is the most beloved plant in the Mexican cuisine. It is also the famous English breakfast. 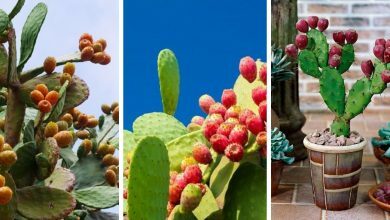 If you are into Mexican food, you have definitely eaten this plant. Learning how to grow Pinto beans is easy as long as you live in a warm climate. These popular latino beans are drought-tolerant, thus, they sensitive to cold climate. Into beans are favored in Mexican cuisine because of their taste and health profile. They help to reduce the cholesterol in our bodies and protect us from heart diseases. Pinto beans can be planted in gardens and containers. Either way, you should avoid transplanting. 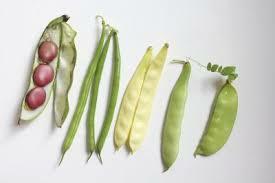 Since these beans love warm climate, you should plant them after the end of the last frost. 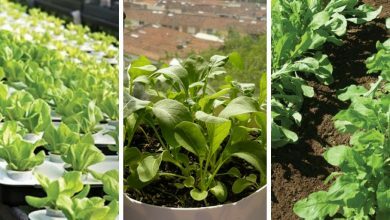 Considering the fact that these plants take up to four months to be harvested, it is advisable to plant them in spring. This way, the will enjoy the heat and warmth of summer which will result in a rewarding yield. If you are eager to learn how to grow pinto beans, all you need is to read the rest of this informative article. There two main varieties of pinto beans, the determinate variety which is known as bush and the indeterminate variety which is called pole. The bush variety is easy to grow whereas the pole variety is more productive. 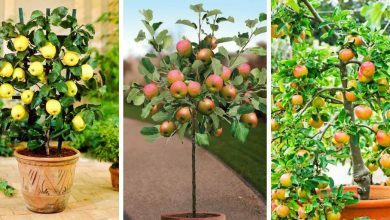 The pole variety requires support if you are planning to grow this variety, you should add a trellis to support it as it is a vine variety. One of the most significant parts of learning how to grow pinto beans is learning where to grow them. As we have already mentioned, pinto beans love warmth and heat, thus they adore sunny spots. They should be planted in a spot where they receive at least 6 hours of direct full sun daily. They grow better if they are exposed to more sunlight. They should also be planted in a location where you have not grown anything for the past three years. This is not a necessary measure but it is a precautionary measure to prevent diseases from infecting your plants. Don’t forget that these plants dislike transplanting, the spot you choose should be permanent. As we stated before, planting pinto beans should be done in spring when the last danger of frost has passed. But, before planting the seeds of these beans, you should soak them in water. Put the seeds in a plastic tray, fill it with water and leave them for 12 to 24 hours. This will increase their germination rate. To sow the seeds, poke holes of at least 1 inch deep to plant the seeds in them. You should sow one seed per hole. It is crucial that you leave a space of 3cm between each hole in all direction. If you don’t, it will hinder the growth of your beans. After planting the seeds, water them well till the soil becomes moist. This will help them germinate fast. If you chose to plant pole beans, you should add support. A support system such as a stake, a trellis or a tomato cage will allow the vine to climb. 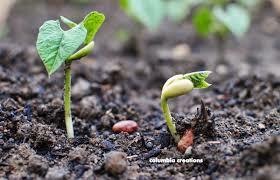 Since they are heat lovers, pinto beans require a soil temperature of at least 70F in order to germinate. They need a fertile well-draining soil and loamy soil to mature and produce heavily. If you want to improve your soil quality, you could mix it with mature compost. For the soil pH, anything between 6.0 and 7.0 is acceptable. Since pinto beans are drought tolerant plants, they can handle drought but they can’t endure overwatering. Overwatering may kill your plants by causing root rot. Thus, in order to avoid such a disease, it is better to water your plants only when they completely dry out of the water. If you wish to know when to water, check your soil by poking one inch of your finger into the soil. If it is dry, then it is time to water, if it is moist, you should wait till it completely dries. They only need 1 inch of water every week. You should also avoid wetting the foliage because it is one of the reasons of fungal disease. Thus when watering, water directly to the soil at the base of the plant. Mulching is important for your beans to grow better and produce more. It will prevent or at least reduce weeds from growing around your plants as well as it will keep the soil warm for better growth. You should mulch three inches deep using black plastic mulch or organic mulches such as weathered straw, untreated lawn clippings, and shredded bark. 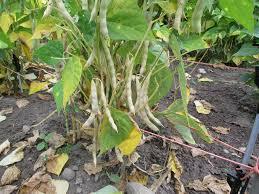 If weeds grow near your beans, cut them off at the ground level or pull them out gently. Make sure that you don’t disturb your beans. Pinto beans have shallow roots thus they can easily be disturbed. Both varieties of pinto beans need a fertilizer that contains phosphorus and potassium. When it comes to nitrogen, these plants only need small doses of it. They usually provide their own nitrogen. Therefore it is recommended that you use low nitrogen fertilizer because too much nitrogen will reduce their yield. Pinto beans need to be fertilized only twice. Once, when the plant germinates. Apply a 5-10-10 slow release fertilizer 6 inches deep and once when the plants start flowering, apply a 10-20-20 fertilizer. 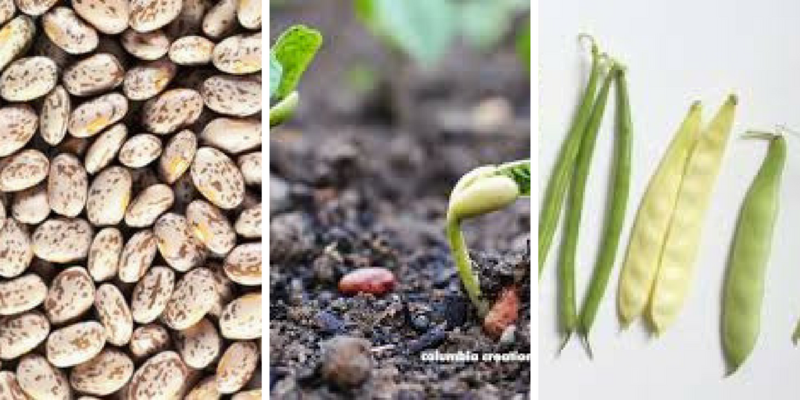 Th most dangerous diseases that pinto beans face is root rot and fungal diseases. One the one hand, root rot is caused by overwatering. On the other hand, a fungal disease is caused by wetting the foliage. If you follow the watering tips you will protect your plants from these notorious diseases. If you are planting pinto beans in containers, you should consider using one of these self-watering containers. The most common pests that may attack your beans are aphids, spider mites, whiteflies, leafhoppers, and beetles. You could kill these pests using organic sprays. However, if the infection is small, you can pick the infected leaves. There is no exact time to harvest pinto beans. The growth and maturity of these plants depend on many factors. However, they usually take between 90 days and 150 days to be ready for harvesting. When the pods become brown it means they are dry, cut them with a scissor or a sharp knife. You could also harvest them while they are still green. 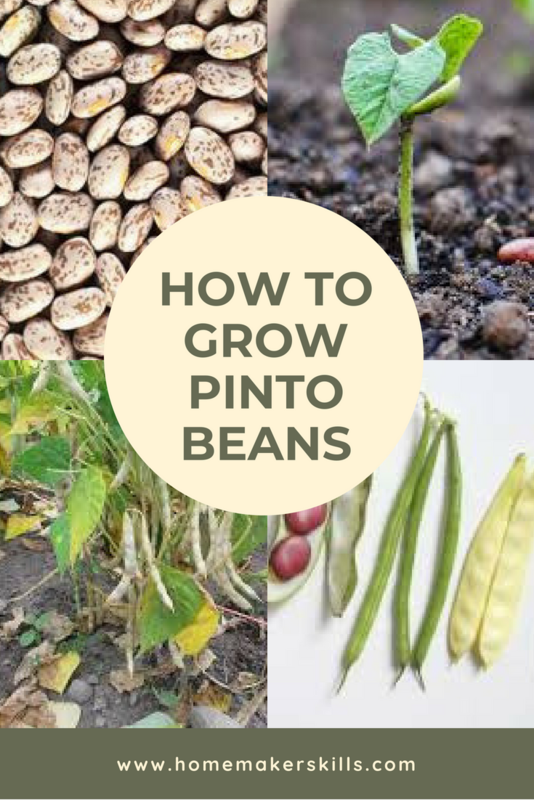 Now you have all the required information to learn how to grow pinto beans. Apply these tips to grow pinto beans and you will be rewarded with a generous yield. 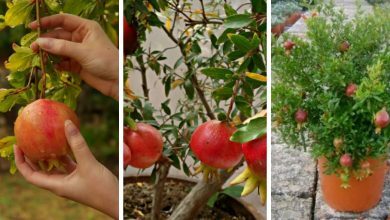 You could learn how to grow sugar apple, turmeric, and dragon fruit.